Exceptions to a staff person's standard work hours could include vacation days, scheduled appointments, etc. They can also be instances where a staff person is available on a non-standard day. Click the Add Exceptions button and add exceptions. Click the Crayon icon to color-code the exception. This color will display on the Day View calendar to highlight the exception. To delete an exception, click the Trash Can icon next to the exception you want to delete. 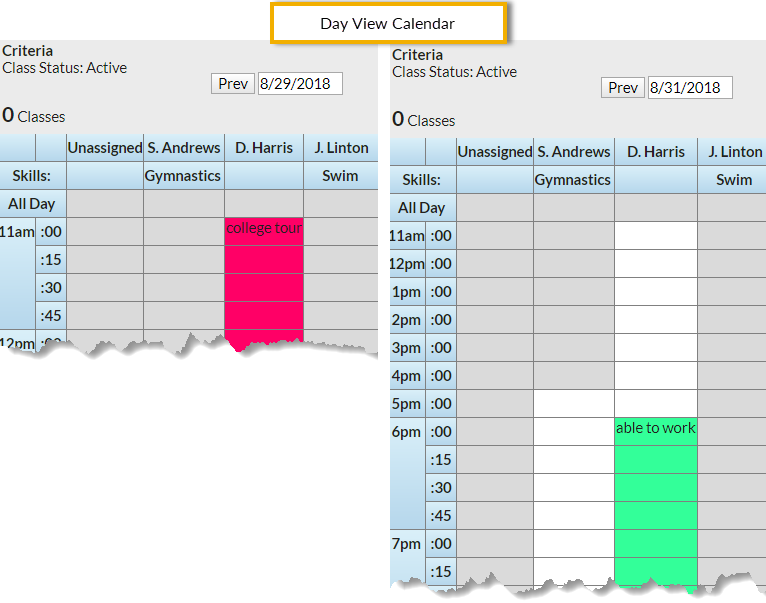 Exceptions display on the Day View calendar in the color you've selected.